I grew up as an atheist on Long Island. When I went to college, I picked fights with the most interesting wrong people I could find which turned out to be the campus Catholics. After reading an awful lot of books, years of late-night debates (the kinds that tended to include sentences like Ok, imagine for the moment that God is a cylinder), and a fair amount of blogging, I was surprised but pleased to find out that Id been wrong about religion, generally, and Catholicism in particular, and I was received into the Catholic Church in the winter of 2012. My first book, Arriving at Amen is a tour through seven Catholic prayer practices, all of which (as a convert) I had to pick up as I would a second language -- so I cobbled together a creole out of my first languages and loves: math, musicals, and medical oddities in order to find a way into spiritual life. 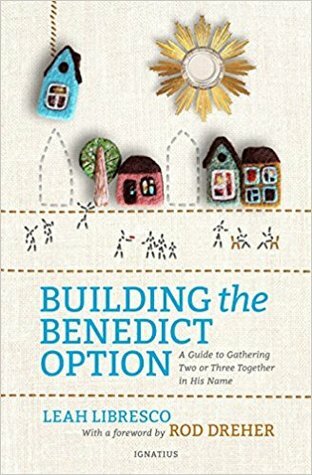 My newest book, Building the Benedict Option is a guide to opening your home, inviting people in, and praying together. It's a book I hope you put down before you're finished, because you're already planning to have people over to sing hymns, have their kids babysat, etc.